Things are coming to heads and I can feel the ground shake a little. At least those in Colorado can but the rest of the US should take a good hard look at the laws in their state surrounding pet sitting as well. The reason I mention Colorado is they have a bill on the floor right now (voted on today) to create,” ‘Home-based Pet Animal Care Technology Platform Act’. A ‘pet animal care technology platform’ (pet platform) is defined as a corporation or other corporate entity, operating in Colorado, that uses a digital network to connect pet animal caregivers to pet animal owners for the purpose of providing home-based pet animal services, such as boarding, day care, housesitting, drop-in visits, training, transportation, and walking.” Its pretty clear who this targets, you can imagine companies like Rover are fighting back. Each state and even cities and towns have the rights to create their own laws under the state definitions of “kennel” “boarding facility” and even in one of the towns in which I operate my pet care business – they have gone ahead and defined, “commercial dog walker”. So whether you are a pet care provider or a pet owner looking for care while you travel, make certain the business in which you would like to procure services – is legit. The second you start exchanging money or even goods for services rendered the government in some capacity has a say so in how you do things. While the popular job economy that exists right now, especially for the over-educated and under employed is made up of gig jobs – dog walking, cleaning houses and other nontraditional jobs while you also consult as a graphic designer, which is what you spent hundreds of thousands of dollars paying for to learn in college – companies like Rover, Uber and Lyft are reaping MASSIVE benefits. The workers win too, sort of. Becoming a pet sitter, especially now is relatively easy. Literally create a profile on any animal care technology platform you choose, ask a few friends, relatives or neighbors for a review and voila – you’re ready to care for people’s pets. There are now background checks that can take a couple days halting your profile from going live and there is a quick little quiz you have to pass but that is it. It was a bit harder back in my day, 13 years ago. I did research on starting a business, joined a few pet education networks, got certified in pet first aid and CPR, got a business license, obtained pet sitting liability insurance, dishonesty bonding, opened up an account, bought a car, got QuickBooks, incorporated etc. You get the idea. Now, none of that was technically required as defined by the pet care business regulations because, well, there are none. As I mentioned previously, some states like Colorado are trying to put regulations in place. There are several issues at play here. The unbelievable income – when people are operating under a animal care technology platform they are operating as technically an independent contractor. Depending on the state in which you are collecting money for services, there are some laws surrounding independent contract jobs. In Massachusetts for example, in order to operate as an IC, one must have their own business license and be covered separately as a separate entity from the person or company contracting work to them. The states and IRS have noticed the $60 BILLION industry, and they want their piece of the pie. 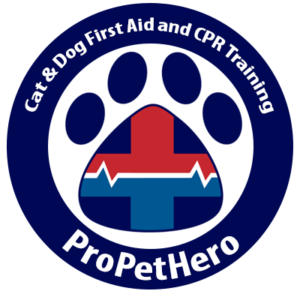 Pets could be in harms way – if someone that does not know animal behavior, or worse, signs of illness that you would learn from taking a pet first aid & CPR course, pets could get injured or die in pet care giver’s control. This has happened and will continue until more people help to create safety regulations. Unfortunately pets are still considered property in most states, so the flip side is despite loving Fluffy as much as your human child – Fluffy is only worth as much as your couch! People are making money by breaking city, state or federal laws. Most states have a definition of a kennel. Again, using Massachusetts since I am so familiar; a kennel is defined as, “”Kennel”, a pack or collection of dogs on a single premise, including a commercial boarding or training kennel, commercial breeder kennel, domestic charitable corporation kennel, personal kennel or veterinary kennel.” Each town then adds there own number to that. 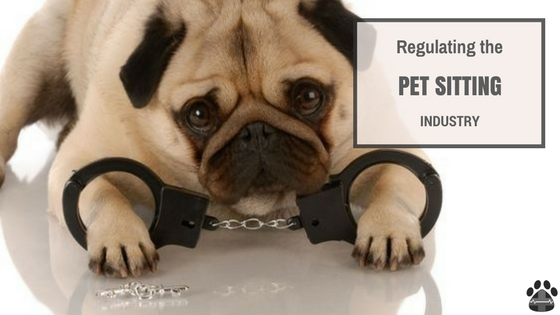 Most pet sitters that keep 3 or more dogs (as defined by most cities and towns) are not able to get kenneling license due to zoning regulations but that doesn’t mean they don’t pet sit. While the laws exist, no one checks them unless a complaint is filed. Those are the major concerns but there are plenty more. For example, you didn’t knowingly buy your dream home next to a dog kennel – which you didn’t realize until a few days in because during the open house, said neighbor didn’t have 20 dogs running around in their backyard until Monday rolled around. The short term gain for pet owners is coverage while you are away by someone you believe loves pets. Its a good setup for sure and with the technology that exists today, we now have easier access to find someone. Gone are the days of calling your neighbor or mother and hoping they can do it. The imposition on friends and family is gone – but what are the long term affects of these types of arrangements? People that collect payment for watching your dog while you went to Aruba should be paying at least 25% of that to Uncle Sam. Not only do the regular taxes like social security and state tax come out, but the pesky little self-employment tax looms. So while the pet owner paid a hefty sum, some of that went to the listing site (coming off the pet sitter’s total of course) and some of that is slated for Uncle Sam. Also if you rely on the person you found online, what happens when they are not available when you want to go away? You have to find someone else. Pet sitting companies tend to have staff and emergency backup should your pet care provider’s car break down or they have a death in the family and need to head out of town in the middle of the job. Check insurance, many of the tech companies carry insurance that covers them and your dog, but does it cover damage your dog might do to the pet sitter? If the sitter comes to your home what if they get injured in your home or worse, by your dog? Make certain you don’t have a civil law suit lurking around the corner due to lack of coverage. Should There Be Regulation of The Pet Care Industry? A lot of pet sitters will disagree with me and the state of Colorado, but I will say YES! We need something to most importantly make certain that pets are safe! I am a professional pet sitter and we are trained in animal behavior, positive reinforcement training methods and most importantly, pet first aid & CPR. Some non pros and even pros are not and we have another being’s life in our hands. I don’t think the federal government or state legislatures need to pass regulations that impose fees just to get their hands on the pie but I would pay something to make certain everyone had proper training, education, appropriate insurance, passed background checks etc. I know regulations cost money but the reputation of the pet sitter suffers when the good get lumped with the bad in the same “pet sitter” pool. Anyone can be a pet sitter just like anyone can now be a taxi cab driver. We are free to choose how we earn our incomes but if you choose to care for people’s pets or have your pet cared for by a person you found on a technology platform, make CERTAIN they know what they’re doing, have an emergency plan, a backup plan and most importantly, the know-how to recognize when your pet needs immediate emergent care. In Colorado we already have regulations in place.. PACFA laws.. this is Rover trying to bypass the current law before they go public next year and start selling stocks.